Be it fair trade coffee or foreign oil, our choices as consumers affect the well-being of humans around the globe, not to mention the natural world and of course ourselves. Consumption is a serious ethical issue, and Christian writers throughout history have weighed in, discussing topics such as affluence and poverty, greed and gluttony, and proper stewardship of resources. These voices are often at odds, however. In this book, Laura M. Hartman formulates a coherent Christian ethic of consumption, imposing order on the debate by dividing it into four imperatives: Christians are to consume in ways that avoid sin, embrace creation, love one's neighbor, and envision the future. An adequate ethics of consumption, she argues, must include all four considerations as tools for discernment, even when they seem to contradict one another. The book includes discussions of Christian practices such as fasting, gratitude, solidarity, gift-giving, Sabbath-keeping, and the Eucharist. 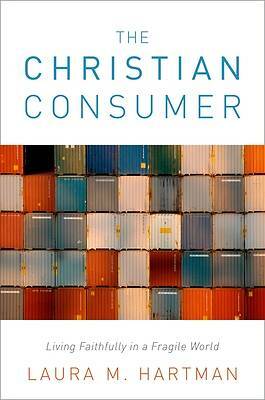 Using exemplars from the Christian tradition and practical examples from everyday life, The Christian Consumer offers a thoughtful guide to ethical consumption.